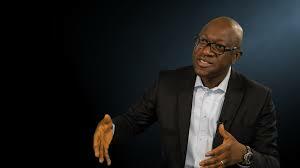 Saboteurs at work… APC hasn’t expelled me, says Jibrin – Royal Times of Nigeria. Abdulmumin Jibrin, suspended member of the house of representatives, says he has not been expelled from the All Progressives Congress (APC). On Thursday, Sani Ranka, chairman of the party in the local government area of Kano state, said a unanimous decision was taken to expel Jibrin for anti-party activities. But reacting in a statement, the suspended lawmaker described the report of his suspension as false. He said it was another round of “character assassination from career political antagonisers who are perpetually threatened by our advocacy for transparency in public service and political leadership”. “My attention has been drawn to a false claim attributed to some mischievous impersonators that I’ve been expelled from my party, the All Progressives Congress, at the local government branch,” he said. “This report, I’ve gathered, came from a dubious character and known fraudster who is neither the chairman of my party at the local government level nor a part of the party executive at the state level. The party is not even aware of this impersonation making the rounds in the media. “Recall that I honoured the invitation of the EFCC in a bid to shed light on the cases of corruption perpetrated by some principal officers of the house of representatives, despite dissuasions by these saboteurs of my party’s change agenda and stand against corruption. “The initiators of this false claim of my expulsion by my party are hired hacks engaged by some politicians in Abuja in continuation of their futile bids to frustrate my anti-corruption campaigns.